Jane is responsible for the implementation of strategic educational delivery objectives for all programs across the teaching areas of Vocational Education and Training and Higher Education. She is charged with positioning the Group’s core teaching and learning activities to meet the evolving needs of students and industries and setting the direction for innovative delivery, planning and high-quality education. Jane will provide leadership to each of the Faculty Deans, Executive Manager of Student Life, Student Support Services and the Coordinator of Campus Operations. 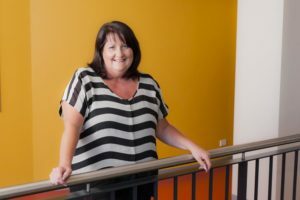 Jane has over 20 years’ experience as a TAFE practitioner in both teaching and management positions. She has demonstrated strong educational leadership; with a combination of management and commercial acumen. She has driven the development and delivery of innovative, flexible and customer focused education and training programs across a range of industries and disciplines. Jane is an experienced vocational education executive with expertise in developing innovative educational delivery strategies and managing business reform, involving culture and organization change. With strong financial acumen, she has also worked collaboratively with many industries, introducing and managing many successful product initiatives. She was previously an award winning teacher and industry practitioner, but most recently was inducted into the Hall of Fame for Hairdressing for demonstrating excellence, making a significant contribution and being a significant role model for the industry. Success as a leader has been based on the ability to relate to all levels of people, building rapport with all stakeholders, introducing innovative change, motivating staff, improving morale, improving operations and positively impacting the business.